I wanted to take some time today to outline my experience with GoFundMe and explain how it works to raise money. 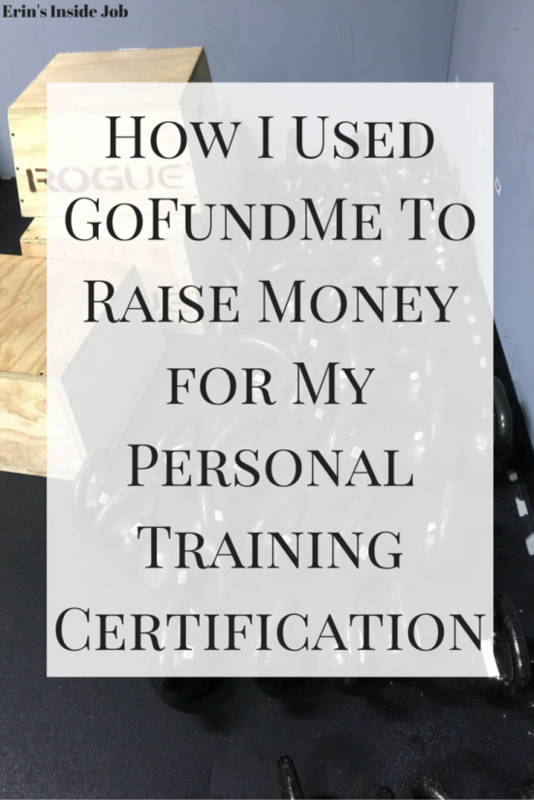 As I mentioned before, I used GoFundMe in December to raise the money needed for my personal training certification. Sidenote: I have 2 chapters left in the textbook, then crunch time, then I hope to take the test sometime this month. First off, I felt weird asking people I know for money. My career change decision luckily happened in December, so I was able to justify it as an alternative Christmas present if people donated. That being said, it is MY issue with accepting money from people and there is nothing wrong with it. Feel free to fundraise during all months of the year! When we moved to Chicago I wasn’t working and Neil and I didn’t feel like we could swing it financially while that was the case. I wanted to get started as soon as I could, so I didn’t want to waste time with another job that was outside of the scope of what I wanted to do. GoFundMe is an online service that allows you to raise money for a particular cause. The first step to using GoFundMe is to set up an account. Once that is done, you can begin to complete your campaign. Make sure to give it a descriptive title that lets people know what you plan to use the money for. 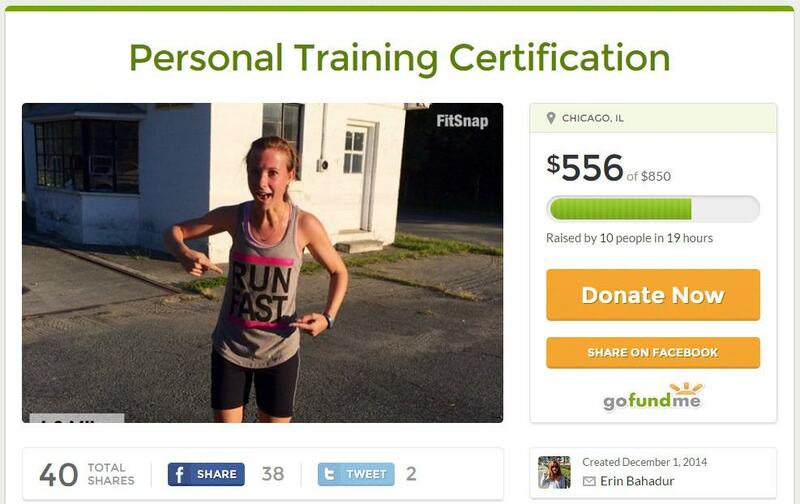 I titled mine “Personal Training Certification.” I also used an absurd picture because I am an absurd person. Many of my family members and friends know that I am a very active person. That made it much easier for them to be willing to support me in my goals. Try and raise money for something that actually has to do with who you are as a person or people might get turned off to your request. If I had made an account entitled “Erin Wants to Be An Astronaut,” I think people may have questioned my motives. Space is cool, but I have never gone around telling people how much I want to be in zero gravity. You are able to set your fundraising limit so people can see how much more you need to reach your goal. 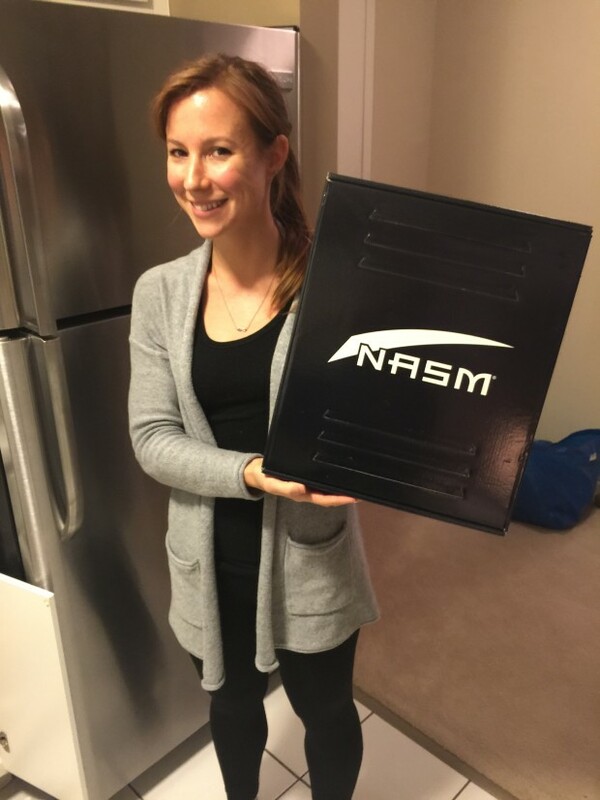 At the time I made my account, I wasn’t sure which NASM package I wanted to buy, so I listed a range and set the limit at the higher of the two. 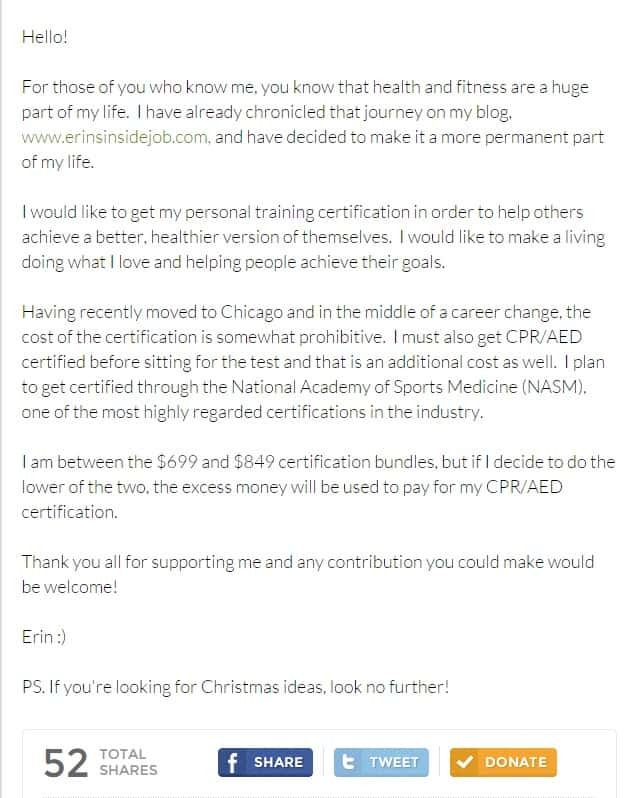 As you can read in my statement, if I chose the lower of the two I would use any remaining money to pay for my mandatory CPR/AED certification which was $90 (that was what ended up happening). After you have set up your account complete with your title, picture, fundraising goal, and personal statement, you can begin sharing on your social media channels. You are able to share it to Facebook, Twitter, or send out an email to your contacts. I was able to reach my goal in 2 days thanks to the support of my friends and family. I did not receive any money from someone I didn’t know, so don’t expect to raise a million dollars from anonymous donors. While GoFundMe is free to use, they do take out a percentage from each donation before you receive the money. The site itself takes 5% and the company used to transfer the money to you takes 2.9% + $0.30 from each donation, so in total 7.9% + $0.30 from each donation will be deducted. Make sure to keep that in mind when planning your fundraising. You can sign in at any time and reshare your campaign through any of the aforementioned channels and can also include an update. Once I reached my goal I sent out an update to everyone thanking them for donating and letting them know how much I appreciated all their help. Don’t forget to be gracious! Enjoy your Tuesday and don’t forget to sign up for my free class at Sweat on 3/14 at 3 pm. Sign up here! Thanks Sara for Tried It Tuesday! How to fund your personal training cert (or other goal) using @gofundme! Have you ever raised money for something? Are you coming to my class? Seriously, every time that I come to see what you are up to on this site of yours you are blowing your mind. You are one of the most enterprising people I have ever met! If I had half the stones and wherewithal that you do, I would be taking over the world! Haha that means a lot coming from you. I have never considered that about myself; I just feel like a chicken with my head cut off sometimes! You are so so so so so smart, Erin! Great idea to share for those considering it in the future. Thanks Lauren! It definitely helped a lot. Great idea, you never know what can happen until you put yourself out there! This is really interesting – what a great idea! Good luck with studying and thanks for linking up! That’s so cool that you were able to raise money that quickly!! Such a great idea. You have some… BALLS lady! LOL! I could never do something like this! But look at you earning money and doing your thang!! You should! Just do it! Who cares what other people think? The worst thing is that you don’t get any donations. The best thing is that you get help in your journey…there’s nothing wrong with that! Great advice. Using services like Go Fund Me to raise money are so easy. Telling people it’s an alternative christmas present is awesome. Thanks for sharing. Brian recently posted…How Does State Law Affect Charitable Giving and Gift Planning?